We will discuss each of these products with a review on the best sellers per category to promote awareness and understanding. 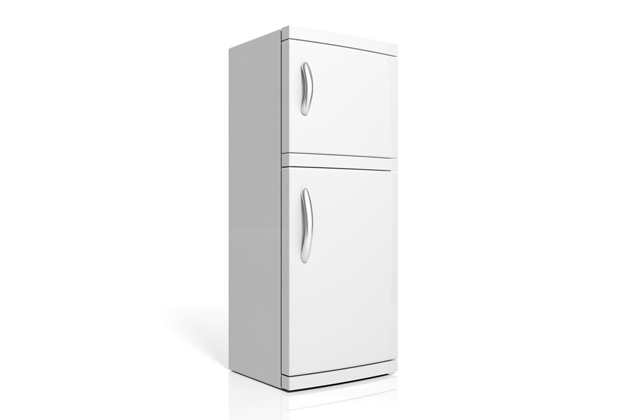 A compact fridge is small, with less than 5 cubic feet capacity. 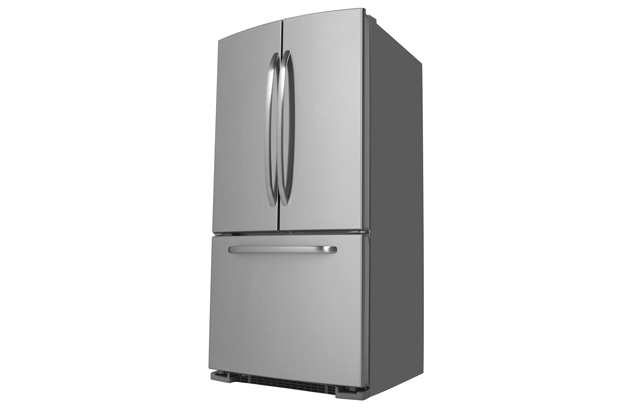 Other Frigidaire refrigerator reviews on the Frigidaire FFPS4533QM state that the unit is an Energy Star certificate holder and CSA certified as well. It is a frost-free and free standing 4.5 cubic feet ref. It has a Spacewise® feature with adjustable shelves to accommodate taller items. The freezer is full width and the crisper drawer is clear for fresh foods. The freezer area is 1.4 cubic feet, while the fridge is 3.1 cubic feet. It weighs 87 pounds and is frost-free too. The door can be placed on the right or left, it is reversible and can adjusted according to your preference. It is selling at $379. Frigidaire refrigerator reviews on this model by a third-party website were not that favorable. One user said that he returned the unit because it was too cold. Another said he asked for a replacement because it was not cold enough. You cannot please everyone! 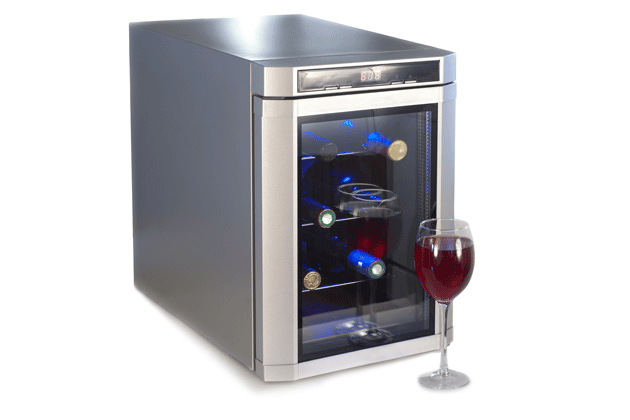 In reality, without bias, this unit is only 3.9 cubic feet but can hold 35 bottles of wine or your favorite beverage. Temperature controls are located at both the top and bottom of the cooler for ease of adjustment. Reviewers liked the sleek modern design and the fact it has a lock—a wise feature with under-age kids in the house! The lights provide adequate illumination for viewing the items inside. The glass door is tinted and the door is reversible. All in all, there are 6 wire racks and it is frost-free. If you are love to entertain or are a wine enthusiast, this sleek black refrigerator can be a helpful appliance. Selling price is $319. Before French door and side by side fridges, this was the standard in refrigerator design. One pull and all inside is revealed. A frost-free fridge, it holds 18.6 cubic feet and has 1 clear crisper drawer with 2 dividers, 2 adjustable glass shelves, a deli drawer and door bins. a digital touch temperature control for ease of use. Speaking about the shelves, you can put large items in it up to 26 inches wide, or adjust for smaller items, as stated in some Frigidaire refrigerator reviews. For those who love the sleekness of stainless steel, but not the constant cleaning, this model’s smudge-proof finish will be appreciated. It’s easy to clean inside and out. Selling price: $2099. This top freezer is a well-loved unit by its buyers. 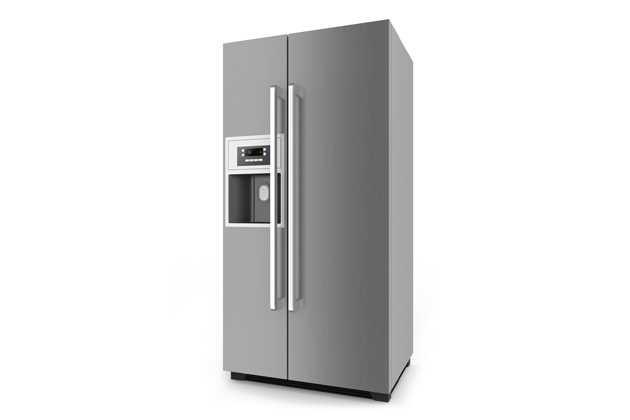 The Frigidaire FFTR2021QS model has 28 reviews on its site and a 4 out of 5 star rating. It comes in white, black and stainless steel. This is a CSA qualified model as well. In total, it has 20.3 cubic feet with 15.1 cubic feet for fresh foods and 5.2 for frozen foods. (Not all Frigidaire refrigerator reviews mention this.) It weighs about 220 pounds with a height of almost 70 inches, width of 30 inches and depth of 32 inches. It can easily be incorporated in any kitchen. Side by side refrigerators are new and increasingly popular. Frigidaire refrigerator reviews of 55 consumers rated the unit at 3.75 out of 5 stars. Reviewers’ most frequent positive comments were on the unit’s spaciousness. The most common complaint? Noise. But one client did say that his unit was working perfectly so you know, it can be a defective unit but at least it was replaced under warranty. At 22 cubic feet, this unit will appeal to large families. It also features a water dispenser and ice maker which can produce cubed or crushed ice anytime you like. Vacationers and the environmentally conscious will appreciate its energy-saving feature. Frigidaire refrigerator reviews said it was beautiful in terms of looks and for the price of $1249, it was a great deal. 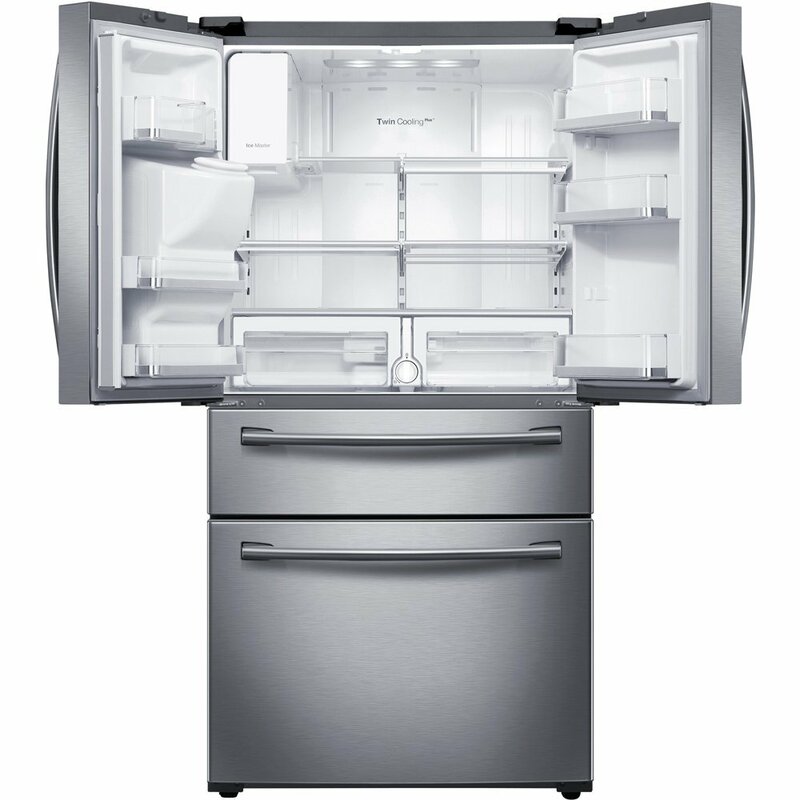 Most homeowners prefer a French door refrigerator and if you want the best, the Frigidaire FPHB2899PF is an absolute find. It is an Energy Star holder, Kosher and CSA certified, with LED lighting throughout. The whole fridge with its bins and spill-proof shelves can be adjusted according to your needs. You can flip shelves or slide them down if you need more space. The crisper drawers can be on top of one another or can be used side by side. Frigidaire refrigerator reviews especially liked the filtered water feature. It is pure and you can drink it right from the refrigerator. Need ice? Just push the button. The freezer drawers are located at the bottom and you can adjust the temperature however you want it. Where else can you find a freezer with baskets? 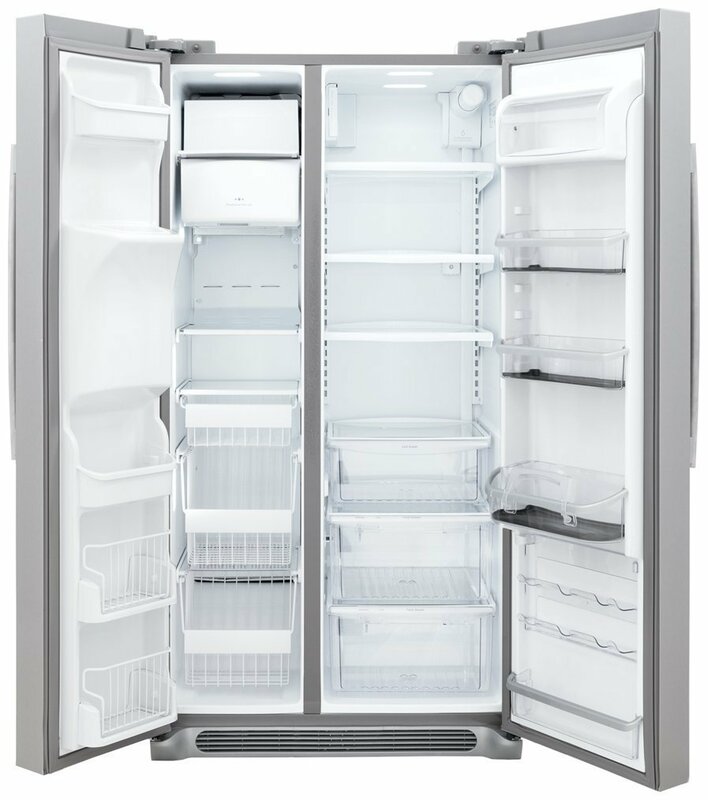 Frigidaire FPHB2899PF is well-designed for organizing your food more efficiently. 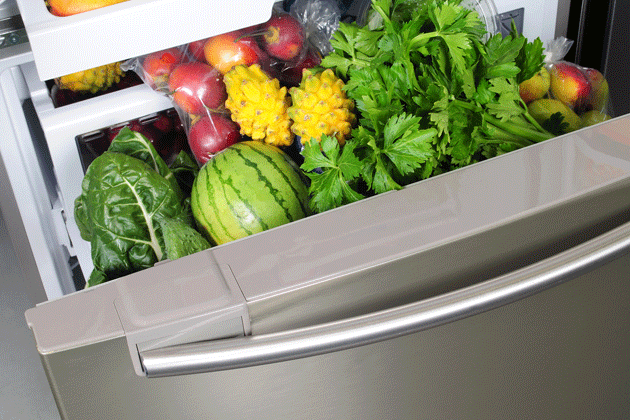 Your frozen and fresh foods keep longer. Spoilage was never an issue. Bins on the door side can handle 2 gallon containers. Reviewers also loved this model’s durability. At a 27.2 cubic feet capacity, this fridge is a rare find. It is currently going for $1899, with free shipping … a deal considering is was formerly priced at $2600. Thanks to discounts, this high efficiency/high performance fridge can be had for a lot less.